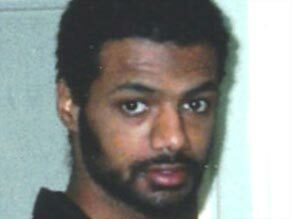 LONDON, England (CNN) -- The Metropolitan Police Service launched a criminal investigation Friday into allegations of torture made by a former prisoner at the U.S. military detention center at Guantanamo Bay, Cuba, New Scotland Yard said. Binyam Mohamed says he was tortured while in U.S. custody at Guantanamo Bay. Ethiopian-born Binyam Mohamed, who has accused the British government of being complicit in his abuse, said he was tortured into falsely confessing to terrorist activities while in U.S. custody in Morocco. Attorney General Patricia Scotland announced in March that MPS would take on the investigation. Her office already had done a five-month inquiry into Mohamed's allegations. In the interim, MPS consulted with the Crown Prosecution Service and other entities. Mohamed was arrested in Pakistan in April 2002 and transferred to Morocco in July of that year before being moved to a U.S. military prison in Afghanistan and finally to Guantanamo in 2004. He was released in February, and the United Kingdom accepted him as a resident, since he previously had lived there. He specifically fingered the British intelligence agency MI5 in his claim of complicity. However, police have not said whether they are focusing on specific people or agencies. When he was released from Guantanamo, Mohamed issued a statement saying, "I have been through an experience that I never thought to encounter in my darkest nightmares." "Before this ordeal, 'torture' was an abstract word to me. I could never have imagined that I would be its victim." Mohamed said he was not asking for vengeance, but "only that the truth should be made known, so that nobody in the future should have to endure what I have endured." Scotland decided the case deserved further examination, based partly on testimony given by "Witness B," whom the British media have identified as an MI5 officer who explained interrogation policy to Britain's high court last year. The United States had charged Mohamed with plotting to blow up apartment buildings in America with radioactive "dirty bombs." But all charges were dropped against him and four other detainees last October. Mohamed subsequently went on a hunger strike to protest his imprisonment. The former detainee claims that in Morocco his interrogators used personal information they could only have received from British authorities, including detailed information about his life in Britain, people he knew and his education. The case has been assigned to a team of detectives, led by Commander Sue Akers, according to an MPS statement issued Friday. The Metropolitan Police Service, based at New Scotland Yard, is the largest police service operating in greater London. The others include the London Police and the British Transport Police. Mohamed was the second Guantanamo Bay prisoner to be released to a European country. In May, Algerian Lakhdar Boumediene was released from U.S. detention at Guantanamo and sent to France, where he has relatives. Boumediene and five others were arrested in Bosnia in 2001. Last year a federal judge ordered five of the six men freed for lack of evidence supporting the accusation that they planned to bomb the U.S. Embassy in Bosnia.